Durability and aesthetics are some of the first qualities that come to mind when we’re collaborating with contractors and architects in making their flooring selections, but moisture suppression generally isn’t toward the top of the list. Let us share with you now why it is so important. 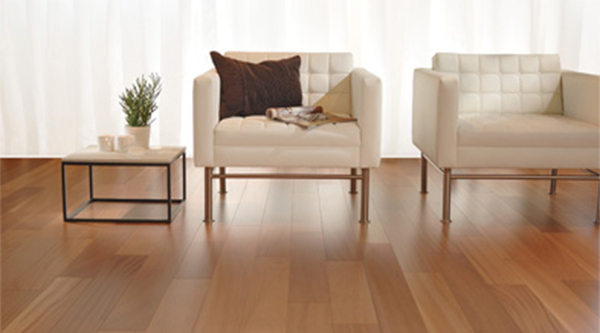 Popular products like wood, luxury vinyl tile (LVT), sheet goods and even some carpet goods can be moisture sensitive, which can lead to a shorter materials lifespan, affect air quality and create an environment for mold or other health concerns. When you actively select and use a moisture-suppression system for a particular environment, you have the confidence in knowing that you’ve done all you can to prevent future problems. The settings that benefit most from moisture suppression are those where the costs of shutting down for replacement are the highest or are the most damaging to operations, such as supermarkets, laboratories, hospitals and surgery centers, for instance. If you haven’t used a moisture-suppression epoxy in the past, here’s how the process works: First, the concrete is mechanically prepared by shot-blasting or grinding the surface to provide a concrete surface profile of #3 or greater. This allows the epoxy to properly adhere to the substrate. Then, the next step depends on the flatness of the existing concrete conditions and the thickness of the leveling product that will be installed on top of the epoxy moisture-suppression system. If the concrete does not require leveling, you can apply one coat with just a skim product. If the existing concrete slab needs to be leveled, we might recommend a two-coat system where the second coat requires a sand broadcast. This provides a textured surface that the self-leveling will adhere too. We represent three of the top manufacturers of moisture-suppression systems: Ardex, USG and MAPEI products. We will help you to select which is best, based on the amount of moisture that is in the concrete, the construction schedule for the project and the budget. With these three manufacturers whose products we know inside and out, we can meet any challenge to make the application of the moisture-suppression product go smoothly and for the benefits to last. Questions? Call us at 800-631-4115 or contact us online.